Casino gamblers have hundreds of sites to choose from, but Ladbrokes Casino is among the largest, most well-regarded and honest in the industry. By claiming a promo code when you initiate your account, you can qualify for advantageous promotions. 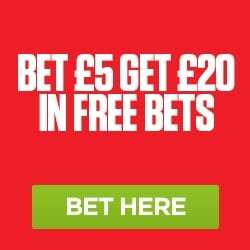 Click here and visit Ladbrokes now. When you make a deposit, you will get a casino bonus of up to £500. We’ve compiled a wealth of information on this offer below. Get a 100% match up to £500 on your initial deposit! This offer is ideal for those making relatively large deposits. Upon clicking on our link for Ladbrokes Casino, you’ll see a landing page with info about the offer. Press the “Join Now” button, and a registration page will appear in your browser. Put your personal details in the spaces provided, and remember to type the promo code “FS100” in the appropriate place so that you can receive your free spins and bonus. Not least among the reasons for choosing Ladbrokes is the fact that it caters to mobile platforms as well as old-fashioned computers. You can create your account with your iOS, Android, Windows Phone or other mobile device. The main benefit to the FS100 code lies in the 100% up to £500 bonus, so we’ll talk about it first. 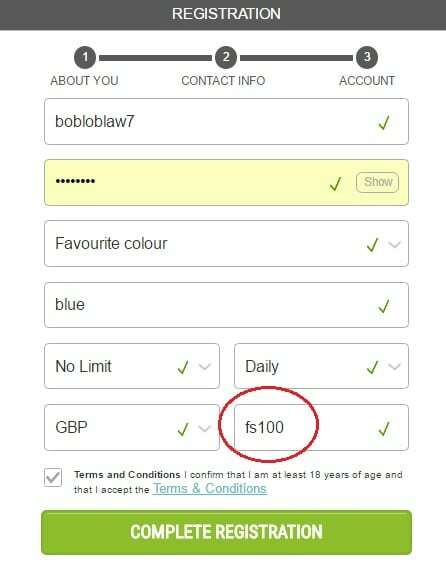 You have to fund your account for any amount of at least £20 using methods other than Neteller or Skrill. This bonus will be non-withdrawable; whenever you request a payout of your winnings, the actual bonus amount will be subtracted from your total balance. The bonus can be used on the Casino, Live Dealer and Slots products at Ladbrokes while other offerings, like bingo and sports, are excluded from play with the bonus moneys. Before making any cashout, you’ll have to play through the sum of your bonus and deposit 20 times. If you decide to deposit £500 to obtain the highest possible bonus of £500, then you’ll have to place bets that sum up to (£500 + £500) * 20 = £20,000 before you’ll be able to make any withdrawal. You have 30 days to complete these conditions, after which your bonus will be forfeit. Different games count varying percentages towards your rollover total with Slots and Scratch Cards contributing 100% of the amount you wager. When you join Ladbrokes casino with the FS100 code, you’ll get 10 free spins. Once you then make your deposit, you’ll unlock 90 extra spins. All 100 of these spins can be redeemed on any Batman slot machine in the casino. Any winnings you’re fortunate enough to collect will be subject to a 20x playthrough. The most you can win from free/extra spins is £100. Any winnings above this figure will simply disappear. The goodies delivered through the use of promo code FS100 are just an initial taste of the rotating promotional schedule at Ladbrokes. Consult our PROMOBET casino promo code review for a breakdown of the rewards you can expect going forward. iPhone, iPad and Android owners are in luck because they can obtain dedicated casino apps for their mobile devices. If you have any other smart device, you can head over to Ladbrokes’ mobile website and start playing too. It’s easy to play table games, slots, keno and the other titles you appreciate even when you’re away from home. 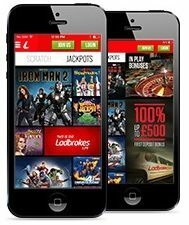 There are exclusive bonuses and other specials that are only available through the mobile interface, so you’re costing yourself both excitement and profits if you ignore the Ladbrokes Mobile Casino. Get Your £500 bonus and 100 free spins!